Adorn your home with the modern look of the Corina Collection accent chair by Sandy Wilson Home. 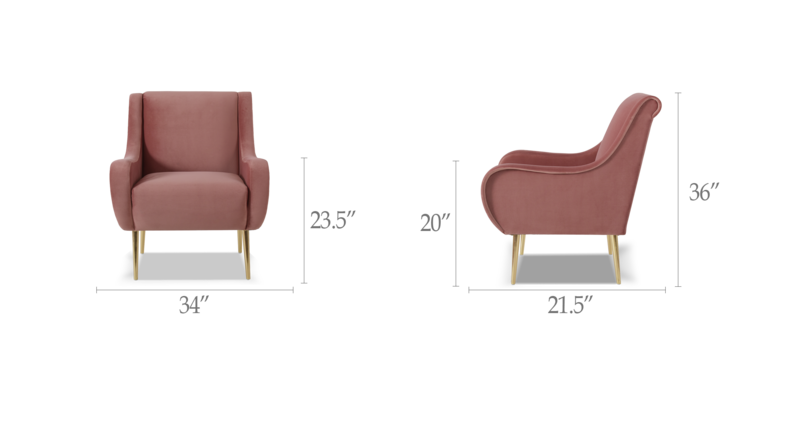 It features swooping arms, tall, slender Polished Gold metal legs, and rich luxurious velvet upholstery. As pleasing to the eyes as it is to sit in, the solid hand-crafted construction ensures you will be able to enjoy this beautiful chair for years to come. Look for the matching settee for a great conversational set! The Corina Chair has a modern look and feel. 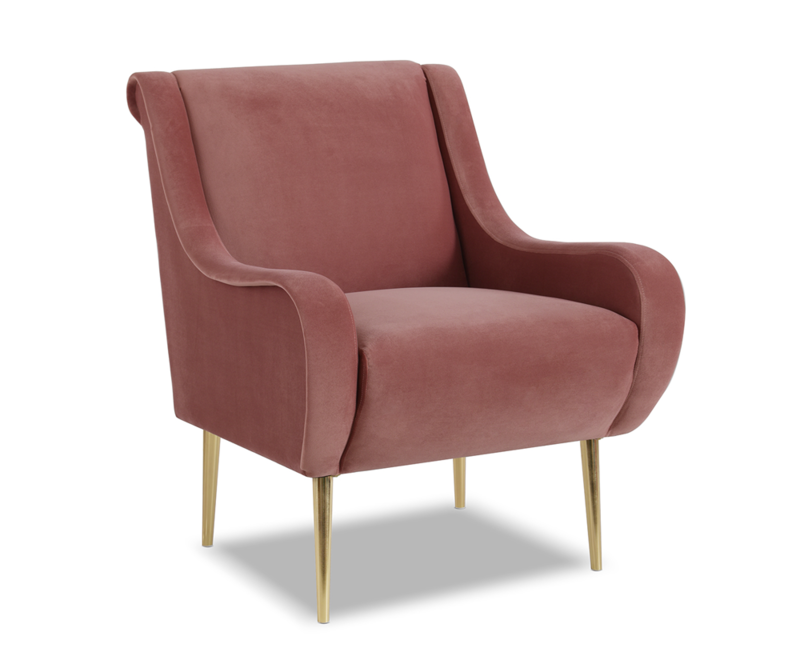 Upholstered in soft, luxury velvet, this chair will give you the feeling of nobility. 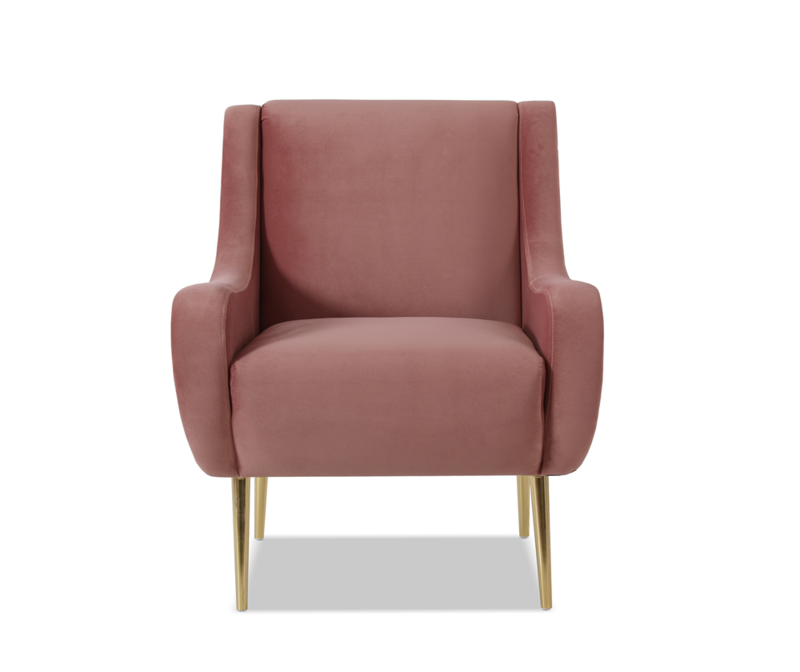 This cozy and inviting chair features swooping arms and tall, slender Polished Gold metal legs. Prepare to love the Corina in every room. The Corina Chair is made from premium woven polyester fabric wrapped around high-density flame-retardant foam padding and cushion for a luxurious medium firm feel. Comes in a variety of five colors to choose from.